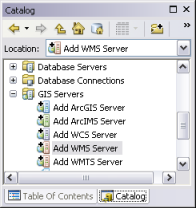 You can connect to an ArcGIS Server site using ArcGIS Pro, ArcCatalog or the Catalog window in ArcMap, ArcScene, or ArcGlobe. There are three levels of connection you can make—user, publisher, or administrative—which determine the functions you're allowed to perform on the ArcGIS Server site once you make the connection. 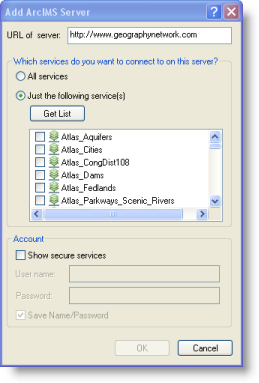 When you connect, you provide a user name and password, which ArcGIS Server checks to see whether you have the permissions to make the type of connection you're requesting. 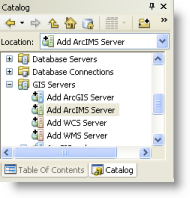 The last supported version of ArcIMS was released with ArcGIS 10.1.x. Specify any additional parameters to include in the request sent to the server. For example, use this to specify token if the service is secured using token based authentication. 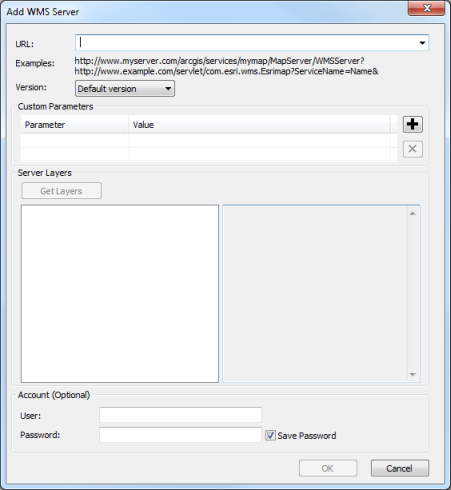 Custom parameters specified here will be included in every request sent to the server when a WMS layer is added to map using this connection. Click to insert a new row. Repeat the above steps to add additional parameters. Select the row that contains the parameter to be deleted. Repeat the above steps for every parameter to be deleted.